Buzzers, Consumers Electronic Show (CES) 2019 just ended on 11 January 2019. Many shocking inventions and innovations in Tech that make us go “WOW”. Bazbuzz picks the best 10 tech innovations which will make our life much easier and comfortable in 2019! Check this out! With the hype of foldable phone, TV now has its own innovation! No need to worry about storage place anymore with this LG signature series, since it has rollable 65-inch screen! If you love minimalist style then you’ll love this! 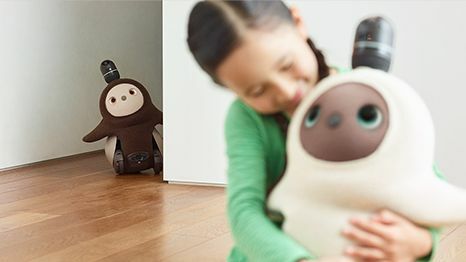 Lovot is a robot designed to make you happy all the time! With its cute appearance, Lovot will demand cuddle and love which believed to nurture people’s capacity to love. I think will be great for people who feel lonely. Tired of folding your clothes? Well now you can invest your time into something more valuable! Just give task to foldimate! Foldimate will fold your laundry only in five minutes! Love to have your bread fresh everyday at anytime? Then breadbot can do it for you! It can make 10 loaf of breads at one hour! Not only that it also healthier with no preservatives and eco friendly! It’s a smart backpack designed for cyclist and skaters!! If you want extra protection on the street, this backpack will lights up to increase visibility. It also can signals using lights if you want to turn or brake! No need to worry about the road since its connected to the eGalanck GPS Navigation app! Hate to clean your teeth but not get the result you want ? The Eureka Park from Lyon has a solution for you, it’s the Y-Brush! Y-Brush could professionally clean your teeth in 10 seconds! It gives deep cleaning by using sonic vibrating technology and nylon bristles! This tool is a breakthrough in a world of telemedicine. It makes the ultrasound equipment handy and could be available in all households. It gives a real time imagery while you discuss it with your doctor in your living room. Even so FDA clearance is only for medical professionals at least for now. With the hype of all that beauty gurus on youtube, Procter and Gamble comes with this magic wand! Opte Precision Wand is designed to apply tiny tiny dots of make up or serum with pin point accuracy. This magic wand will scan your face with tiny camera and detect the freckles or moles you need to hide precisely! We all love our furry friends and sometimes worried if we left them alone. No need to worry anymore as now you can purchase Petcubes bites2 and Play2 in Spring 2019! These tools will keep your pets entertained and well fed. It has laser pointer, camera, and four microphone arrays. KIA developed the READ system in conjunction with Massachusettes Institute of Technology (M.I.T). The R.E.A.D system will read driver’s emotional state using various sensors and Artificial Intelligence. As the result it will adjust car’s interior lighting and climate based on the driver’s emotion. It surely will enhance your experience in pleasant driving and avoid stress to increase your wellness. Previous article TOP 10 Most Bold Style We Surprised To See In 2019 Golden Globe Awards! Next article These TOP 30 Funny Pictures Of People Just Go Silly in Winter Will Make You Laugh!! What's Now in Technology? 4 Things You Need to Know! These TOP 30 Funny Pictures Of People Just Go Silly in Winter Will Make You Laugh! !